Château Rieussec has been a leading wine in Sauternes for several generations. Ranked as a Premier Grand Cru in 1855, it is made with a subtle blend of Sémillon, Sauvignon and Muscadelle. “R” de Rieussec is produced on the Château Rieussec estate, a Sauternes Premier Cru Classé. It is partly produced from the same vines as the Sauternes. In the 18th century, the Rieussec estate belonged to the Carmelite monks in Langon. The confiscation of the estate during the revolution led to its public sale around 1790 as a “object of national heritage” to Mr. Marheilhac, owner at that time of Château La Louvière in Léognan. For the 1855 classification, M. Mayne was the owner of the estate. The quality of the Rieussec soil earned its ranking as a first growth Sauternes and Barsac. 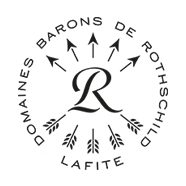 After that date, Rieussec’s history involves many changes of owners: Charles Crepin (around 1870), Paul Defolie (1892), Mr. Bannil (1907), then the Gasqueton family (owner of Château Calon-Ségur at Saint Estèphe), P.F. Berry during the war (an American citizen and brother-in-law of the Vicomte de Bouzet), Mr. Balaresque (1957) and lastly, Albert Vuillier (1971), who was passionate about Sauternes’ “sweet wines”. Château Rieussec was acquired by Domaines Barons de Rothschild (Lafite) in 1984. The estate then consisted of 110 hectares, 68 hectares of which were vines. To enhance Château Rieussec’s potential, rigorous measures were implemented, including meticulous sorting of the grapes and fermenting in barrels, which provides a much finer selection for the blending of the Grand Vin. 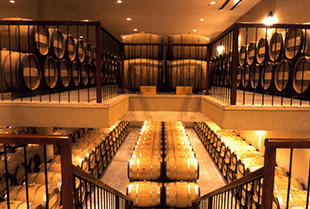 A new cellar was built in 1989 to extend the ageing period in barrels. The quantities of the Grand Vin that were produced were much reduced in the 1990’s due to more meticulous selection, to the point that none at all was produced in 1993 (this was also the case in 1977 and again in 2012). In 2000, the renovation of the maturing cellar, the construction of a fermentation room, and the modernisation of the reception and pressing areas also represented strides forward in a quality policy that was launched in 1985. The first attempts at selection were rewarded by a remarkable trio of vintages in 1988, 1989 and 1990. This was crowned by an entire decade of very good wines from 1995 to 2005. The weather proved to be no obstacle for the remarkable vintages of 1996, 1997, 1999, 2001, 2003 and 2005, among others! Furthermore, Château Rieussec 2001 was declared Wine of the Year in 2004 by Wine Spectator magazine. 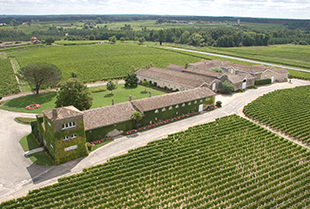 The Château Rieussec vineyard extends to the border of Fargues and Sauternes, and adjoins Château d’Yquem. Rieussec is one of the largest properties in Sauternes and Barsac, the vineyard covers 93 hectares of gravelly sandy-clay soil. The iconic grape variety of Sauternes, Sémillon, dominates (90%), followed by Sauvignon (7%) and Muscadelle (3%). Traditional Sauternes techniques are used and the harvests are carried out with selective pickings depending on the ripeness of the grapes and evolution of botrytis cinerea (noble rot). They last for 6 to 8 weeks from September to November. Production is low and firmly in the hands on Mother Nature. The traditional saying is that a single vine should produce a bottle of wine. Here, though, a single vine produces about a glass of wine! The vineyard is managed by Eric Kohler, Technical Director of the Bordeaux Châteaux, with the help of Jean de Roquefeuil, Vineyard Manager, and Serge Bertrand Roux, Cellar Master. Wines are fermented in barrels. The yields are sorted and each parcel is identified and isolated in a batch of barrels, in order to judge whether or not it can be used in the Grand Vin after fermentation. Several tastings from each barrel are then performed in order to ensure a rigorous selection for the Grand Vin. The cellars are located in the heart of the Château Rieussec vineyard at Fargues. Each vintage ages in oak barrels produced mostly at DBR’s cooperage. Half of them are renewed every year. The length of ageing in barrels varies from 16 to 26 months, during which the wines are periodically racked. The wines are bottled at the Château. Production at Château Rieussec and Carmes de Rieussec varies a great deal depending on the vintage, but on average it is 12,000 cases per year. Rieussec also produces small quantities of a dry white wine, “R” de Rieussec. The property is closed from August until the end of November. A wine tasting is offered after the tour of the property. Direct sales at the property (limited stocks). Alcohol can damage your health and should be consumed in moderation. To view this site you must have reached the minimum legal age required for the consumption of alcohol in your country of residence.